Regal Purple double faced satin ribbon, available in various widths *3mm, *7mm, *9mm, 15mm, *23mm and *38mm ( * special order 4-5 working days). 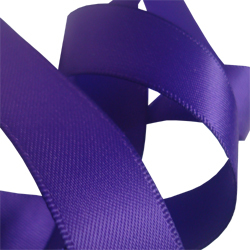 All of our double faced satin ribbon is colour fast and suitable for dry cleaning. Printed ribbon available from just 1 roll. Samples available for a true colour match. 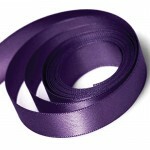 Regal Purple Double Faced Satin Ribbon Available in various widths *3mm, *7mm, *9mm,..